Skin Food is a Korean beauty brand and is quite popular around the world. 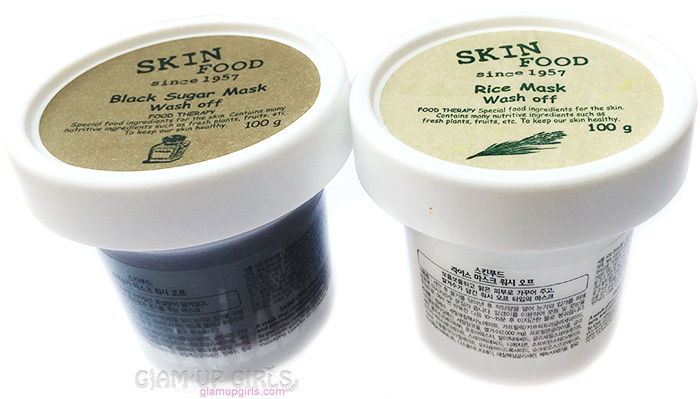 Their wash off masks are most popular for some time and i wanted to try their best sellers which included Black Sugar and Rice mask. Finally i got my hands on them and have been using them for few weeks. We have tried it on almost all skins and today i am going to share how did they turned out for us. A wash-off mask containing rice extract that moisturizes skin and brightens tone. With its texture of ground rice, it leaves skin bright, soft and lustrous. Perfect for people with normal to dry skin, or those looking to brighten dull, rough, lackluster skin. A leave-on mask with generous moisturizing and effective exfoliating ingredients. Grainy sugar granules slough off excess oil and grime, while a self-heating formula opens up pores, allowing skin to fully absorb the rich minerals and vitamins. Experience renewed luster and softness immediately after use. After cleansing, apply desired amount onto face, gently rub all over the face focusing on nose area while avoiding eye and mouth areas. Leave for 10 to 15 minutes, and then wash off with warm water. These masks comes in 100g white plastic tub with screw lid. The packaging is not loved by many as it is considered unhygienic but in my opinion compared to squeezable tubes, tubs are easy to use. You can always use any spatula or wash your hands before dipping in the products. The tub is sturdy, there is no fear for spilling product once the lid is closed and i find it recyclable for future DIY products. 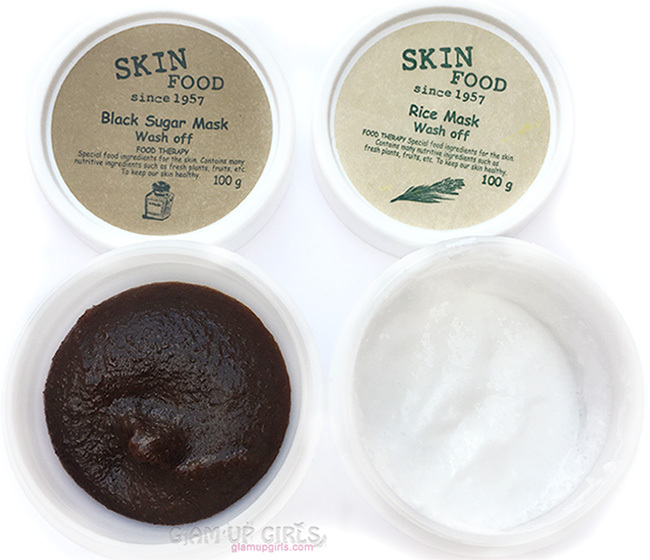 The black sugar wash off mask have dark brown color and sugar granules for exfoliation. These granules are not large and harsh like Freeman charcoal and black sugar polishing mask but not very mild as well. As i liked my scrub little harsh so i don't mind using it at all but if you have very sensitive skin, it is suggested to dilute it with toner or water for your liking. The mask have quite smooth substance as well which is easy to spread and stick to skin to keep it for 15 minutes where Freeman black sugar mask is little difficult to spread. It is also heating mask like Freeman's and while application you will start feeling little warm but it doesn't last long and become normal after a minute or two. This mask have little herbal scent which is not bothering and also fade after few minutes. The results are quite amazing after each use. As its exfoliation is powerful, i use it once or maximum twice a week to remove dead skin and black heads. After cleansing i apply generous amount on whole face and rub it for few minutes. I leave it for 15 to 20 minutes and then wash off with luke warm water while rubbing on spots which need attention. It leaves the skin super soft, clean and hydrating. It doesn't leave any greasy feel behind instead skin feels super clean and yet hydrating. It suits all skin including dry, oily and combination and doesn't irritate or breakout. The rice wash off mask have white creamy texture with rice grains in it. The grains are very soft and are not too exfoliating which is understandable because it is not exfoliating mask instead it is brightening and moisturizing. The creamy texture is almost similar to our local dessert kheer and i was little afraid at first that it would be sticky and oily. The mask have clean smell like soap which is refreshing and fades after few minutes. Once i applied it on face it did seem like milk cream is applied to face with boiled rice in it. After few minutes once the texture is bit dried, the grains does provide little exfoliation and if you have sensitive skin this mask will be good option. I washed it after 15 minutes and the result was totally surprising. Once i washed it thoroughly, my skin felt extremely clean and there was no greasy feeling left behind. My skin felt soft, clean and it did brighten the complexion. The result justified why this mask is one of the best selling from this range. I thought after application, it would be similar to Freeman apricot facial creamy scrub which was hard to wash and leave the greasy feeling. However it is totally opposite of it. It is hydrating mask but is good for all skin type and doesn't breakout or irritate any skin. If you have sensitive skin and doesn't like harsh scrubs then this mask can also work as mild exfoliator for you. Overall both masks were amazing and i loved them. 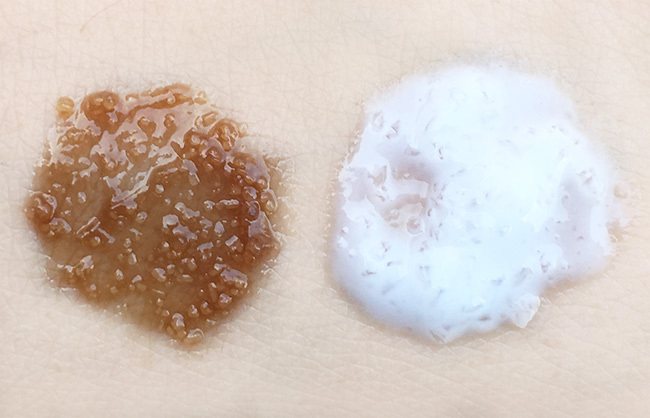 They both make skin soft, clean, hydrating and leave little brightening effect. 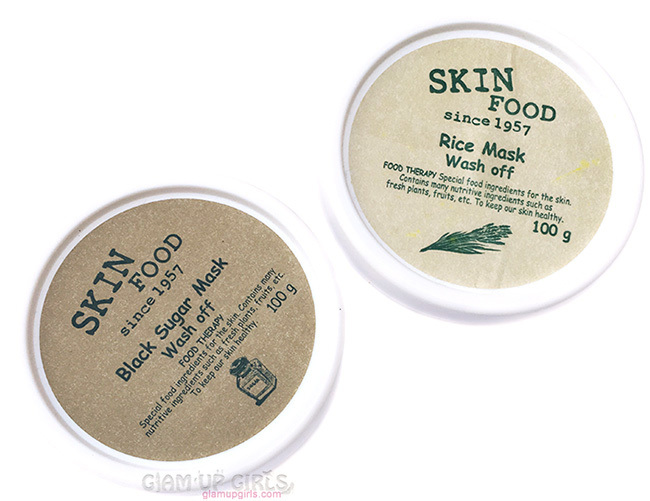 While black sugar mask is strong exfoliator, rice mask is mild exfoliator for sensitive skin.